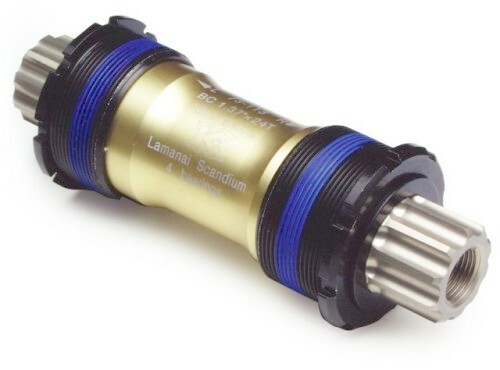 This is a light weight Titanium axle bottom bracket with 3 replaceable sealed bearings. Triple bearing design - 2 driveside, 1 non-driveside. Fits a 68mm BB shell with spacers included, or 73mm shell without.